The XMark FID Flat Incline Decline Weight Benches offer a variety of strength equipment exercises for a full body workout from the comfort of your home. Eight adjustments from decline to full military position allow for a multitude of exercises targeting the abdomen and arms. Customize your biceps routine with the adjustable preacher curl attachment. 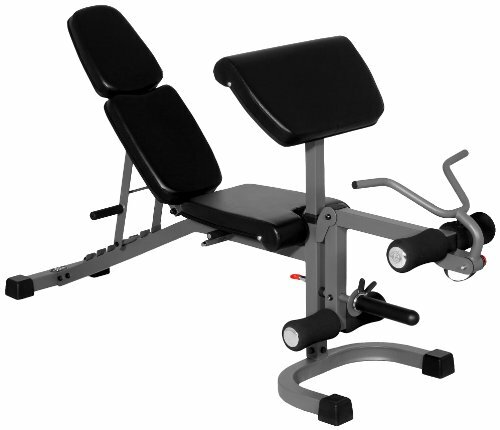 The XM-4418 has the added value of a leg extension ideal for targeting your quadriceps and hamstrings. Built for comfort and stability, the bench features extra thick 2.5" Hi-density cushions, oversized 4" contoured roller pads and a horseshoe shaped base. A sleek, well defined body is only a step away with XMark, the mark of excellence.